Two billion individuals in the world have evidence of past or present hepatitis B, chronically infected with hepatitis B. Many of these people appear healthy but can spread the virus to others.Hepatitis B infection is transmitted through sexual contact, contact with contaminated blood (for example, through shared needles used for illicit, intravenous drugs), and from mother to child. 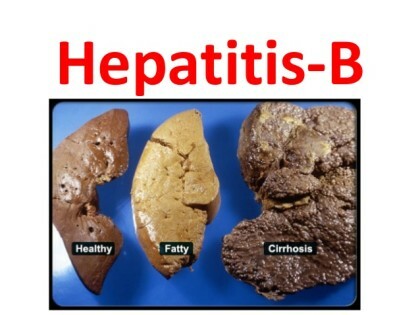 Hepatitis B is not spread through food, water, or casual contact. Serologic (blood) markers specifically for hepatitis B virus are used to diagnose hepatitis B viral infection. The blood tests can also identify the stage of the infection (past or present) and people who are at highest risk for complications.Injury to the liver by hepatitis B virus is caused by the body’s immune response as the body attempts to eliminate the virus. Measurement of baseline renal function and assessment of baseline risk for renal dysfunction should be considered in all persons prior to initiation of antiviral therapy. All infants should receive their first dose of hepatitis B vaccine as soon as possible after birth, preferably within 24 hours, followed by two or three doses. In HBV-monoinfected pregnant women, the indications for treatment are the same as for other adults, and tenofovir is recommended. No recommendation was made on the routine use of antiviral therapy to prevent mother-to-child HBV transmission.